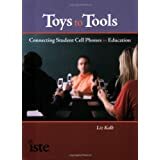 From Toy to Tool: Cell Phones in Learning: Cell Phone Conferencing A Free Tool for Teaching! 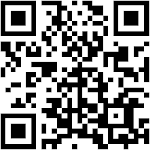 Cell Phone Conferencing A Free Tool for Teaching! 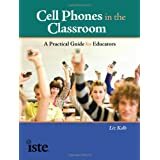 Cell phones can be a handy conferencing tool for teaching and learning. Part of teaching is being able to conference with students, parents, experts, and members of the community. Often conferences and meetings are conducted face-to-face. 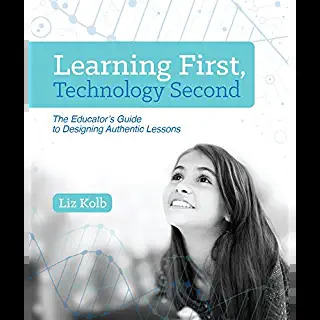 Recently with the rise of web conferencing tools some schools are starting to take advantage of these internet-based tools for virtual conferencing and even professional development. However if students, teachers at home, parents, or other community members do not have access to the Internet, they are unable to participate in these web conferences. BUT...They can if they have a cell phone (any cell phone will do). Many conferencing tools now have call-in numbers where participants can call-in to listen to and participate in the conference session. Some of these web tools even record conferences as MP3 or Video files, which can be converted to be viewed and/or heard on cell phones as an archived file. Using a resource such as Podlinez, the mp3 files of the conferences can be given a call-in number so that people who could not attend the live conference could still call-in to hear the conference. Dimdim is entirely free for up to 20 participants at one time. Dimdim includes audio, video, interactive whiteboards, computer screen sharing, and document uploading in the free conference options. All Dimdim sessions can be recorded and become flash video files online. Dimdim includes a dial-in number so that those without Internet access can still hear and participate. I use Dimdim with my preservice and inservice teachers and have found that on occasion the call-in number has allowed access to some who were not at a computer at the time of the designated conference (for example I had one student who was at the Inauguration in DC during a required conference so he called in on his cell phone). Dimdim is a great option for virtual professional development workshop for teachers. Freeconferencepro allows up to 250 people to call in on a conference at one time for free. The conferences are audio only and can be recorded and saved as mp3 files. These are very private conferences and thus would be great for parent-teacher conferencing. Freeconferencecall has U.S. and international free conferencing numbers! People from up to 10 different countries can meet up for free on one conferencing line. This resource allows up to 96 callers on one call at a time. The calls can be recorded and immediately posted to iTunes as a podcast as well. This could be beneficial for public school meetings where some community members are unable to physically attend but would like to hear and possibly participate. Scriblink is entirely free and uses FreeConferenceCall (described above) for the cell phone call in number. Scriblink has a collaborative whiteboard and chat room as well as the audio conference. This type of conference is great for public meetings (such as committee work or board meetings). Wow! There are so many tools possible. I had just started to wonder if we really needed to reconsider our stance on cell phones and iPods on campus during school. Clearly, there is a lot of scope for mischief, but especially web enabled phones have project, data collection, networking, and collaboration potential. I am looking for a 5 point Likert scale survey to survey middle school teacher with the use of cell phones and iPods. I am very open to suggestions. 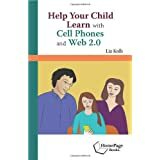 This is effort to promote teaching with cell phones and iPods for homework, study sessions and projects.